Our 25 foot Cat3 telco trunk cable features two 90 degree Amphenol connectors (Male to Female) and 25 twisted pairs. 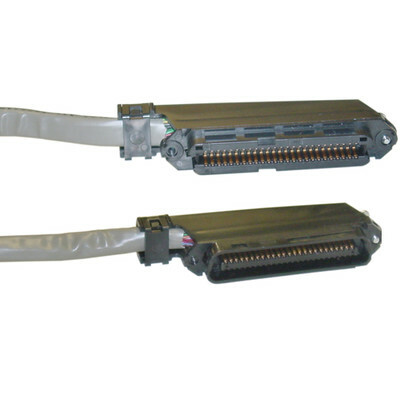 Use these cables to bridge telephone based switch boards and equipment require a Centronics 50 (CN50) type Amphenol connector. 25 twisted pair cables are typically used with 66 type blocks in telephone (distribution and routing) applications.